How to Play Audio FLAC, OGG, WMA, APE, RAM on Apple Watch? 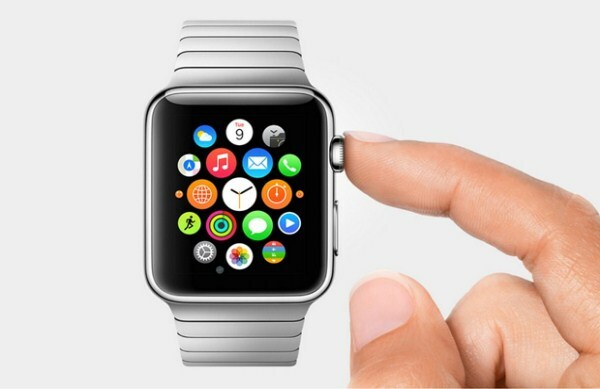 Apple Watch is more than a precise watch. The Apple Watch is a music player like an iPod; a fitness tracker with heart-rate measurements; a communications device that will send and receive messages, calls and audio recordings; and a handheld portal to other apps, too. It also makes payments via Apple Pay. It can also control your Apple TV and act as a remote for connected smart-home devices. Burrrn is a free little tool for creating audio CDs with CD-Text from various audio files. Burrrn supports CDs from audio formats including WAV, MP3, MPC, OGG, AAC, MP4, APE, FLAC, OFR, WV, M3U, PLS and FPL playlists and CUE sheets. As a Windows based desktop software, Burrrn does not have Burrrn for Mac version so it does not support running on Mac OS X. But you can forget about the fact that there is no Burrrn Mac version after you reading through this article. TechiSky will introduce two Burrrn for Mac alternatives that work better than Burrrn to help you burn CDs on Mac. iDVD, produced by Apple Inc. is a preinstalled application with Mac OS X 10.6 Snow Leopard and earlier. iDVD allows users to burn QuickTime Movies, MP3 music, and digital photos to a DVD that was then played on a commercial DVD player. iDVD integrated tightly with the rest of the iLife suite, as well as with Final Cut Express and Final Cut Pro. iMovie projects and iPhoto slideshows can be exported directly to iDVD. It’s a pity, however, iDVD, such excellent application which brought lots of conveniences to Mac OS X users, stopped development since OS X 10.7 Lion. iDVD is no longer preinstalled with OS X 10.7 Lion, OS X 10.8 Mountain Lion, OS X 10.9 Mavericks, OS X 10.10 Yosemite, OS X 10.11 El Capitan, macOS 10.12 Sierra, macOS 10.13 High Sierra, macOS 10.14 Mojave. Then how to burn video, photos, data, QuickTime movies, iMovie projects, Final Cut project or iPhoto slideshows to DVD on Mac for backup or playing with DVD players? It’ll be quite easy if you own this iDVD replacement, the easy-to-use app to replace iDVD for creating and burning DVDs in Mac (Mojave/High Sierra/Sierra/El Capitan/Yosemite and earlier Macs are all supported)..